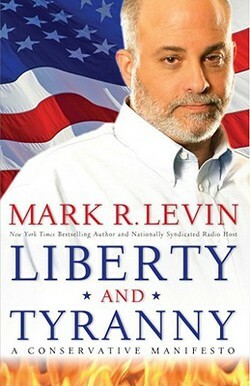 Mark Levin’s book, Liberty and Tyranny made quite a splash when it was originally published in 2009. Even though the book is a bit dated now, I think it’s relevance is even greater now that President Obama’s failed policies have taken root. The rotten fruit of liberalism litters the American landscape – conservatives are faced with the challenge of cleaning up the mess. Levin lays his cards on the table at the beginning: “Conservatism is a way of understanding life, society, and governance.” Indeed, conservatism is a worldview; a way of seeing the world and playing a part within it. So with the backing and historical muscle of the Founding Fathers, the author presents a cogent case for Conservatism by confronting Statism with bold arguments and common sense American values. He tackles matters of the free market, welfare state, environmentalism, and immigration among others. I highly recommend Liberty and Tyranny by Mark Levin. It will serve as an encouragement to most Americans but will be a source of irritation for social progressives.